I am using a Windows 10 laptop ( a new one) and just installed Vivado 16.4 on it. I'm trying to get a basic Hello World application up and running to ensure my USB-UART connection is working properly. But when I run the application, I get the following error: Cable is not powered on (Snapshot attached). I tried re installing the drivers as someone had mentioned in one of the forum discussions but to no avail. My old Windows 10 laptop has Vivado 15.4 on it and I'm able to run the application on it. I'm not sure if this is a Vivado 16.4 issue or something else. Please help! You mention re-installing the drivers. Did you re-install the cable drives as described here? When you turn on the power on the Zybo does the red led go on? 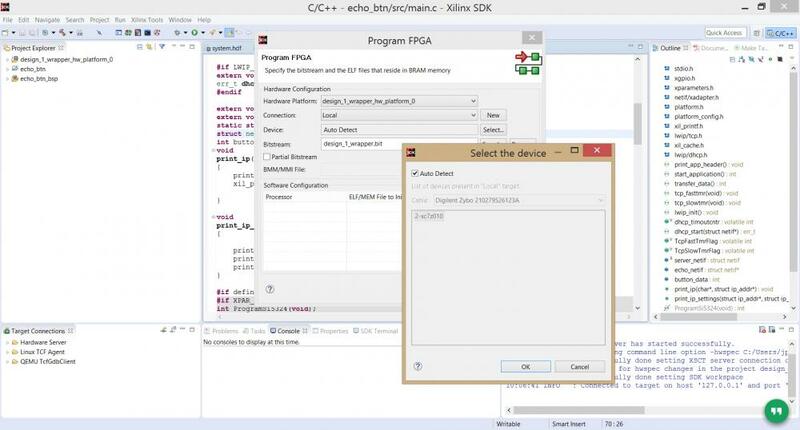 Are you able to see the Zybo on the Device manager? Have you tried using a power usb hub? Red led does go on. I don't understand what you mean by See Zybo on Device Manager? I'm able to see a USB Serial Port (COM 6) in the Device Manager. I have connected the JTAG CABLE directly to the USB port on my laptop. I installed Vivado 15.4 and it works fine. I'm able to run the application. The problem seems to be with 16.4. I am glad that you were able to get Vivado 2015.4 working on your new laptop. I'm sorry my question was vague about the device manager. 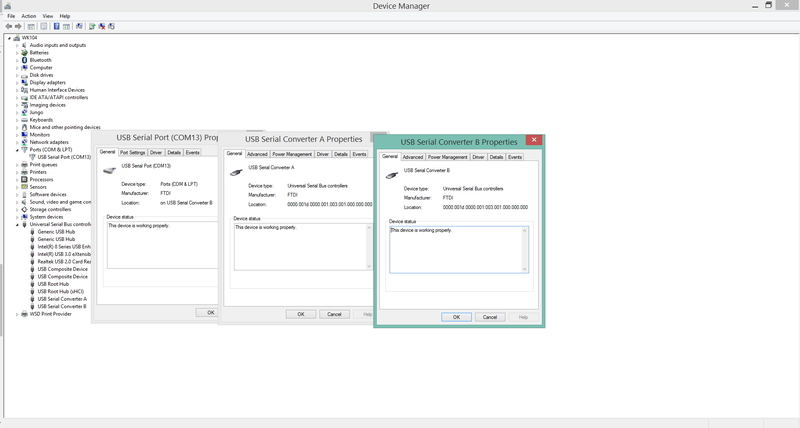 I have attached a screen shot showing the three different things in the device manager that you should have and that should be up to date. They are : A Usb Serial Port under Ports as well as Usb Serial Converter A and Usb Serial Converter B under Universal Serial Bus controllers. All should be showing that they are working properly. Had you updated the cable drivers? I was asking about the USB hub to make sure that it isn't something to do with you usb port in regards to power limits. When you are going to Program FPGA click on select in the Device section and see what device it shows. I have attached a screen shot of this as well.